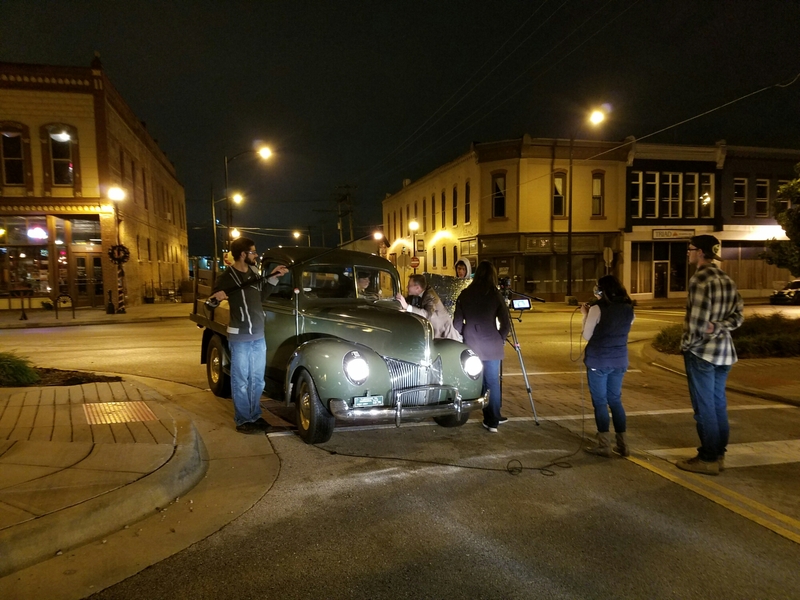 The truck took part in a video shoot for James River Church’s “It’s a Wonderful Life” television commercial. 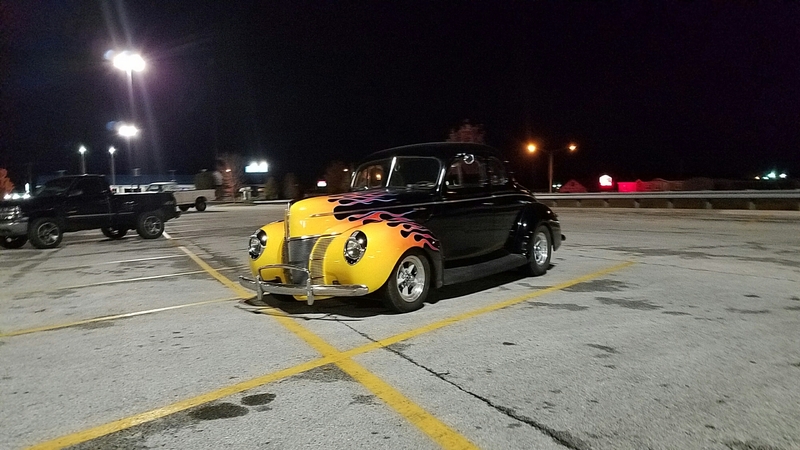 It’s been a busy time, with the ’40s over the past month. 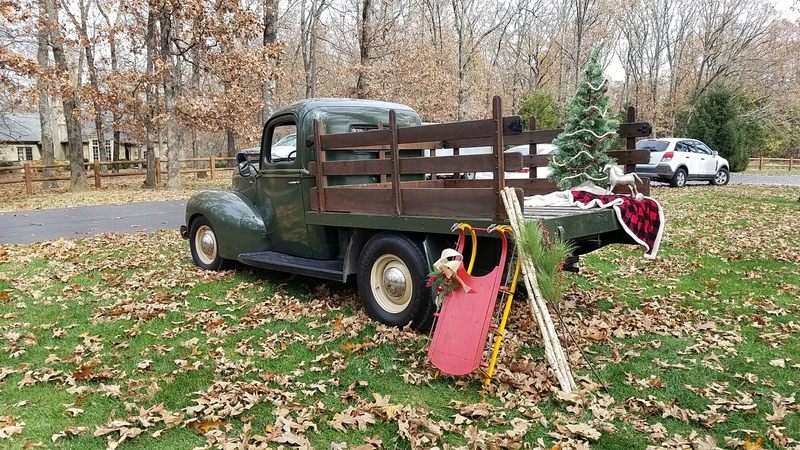 While trying to schedule time to work on the ’40 coupe, and do the 3 speed swap, the ’40 Stake Truck had a few gigs that it had been invited to. The first was a video shoot for James River Church, for their Christmas event advertising. A few weeks later, they contacted me again for a photo shoot with their pastor and his family. 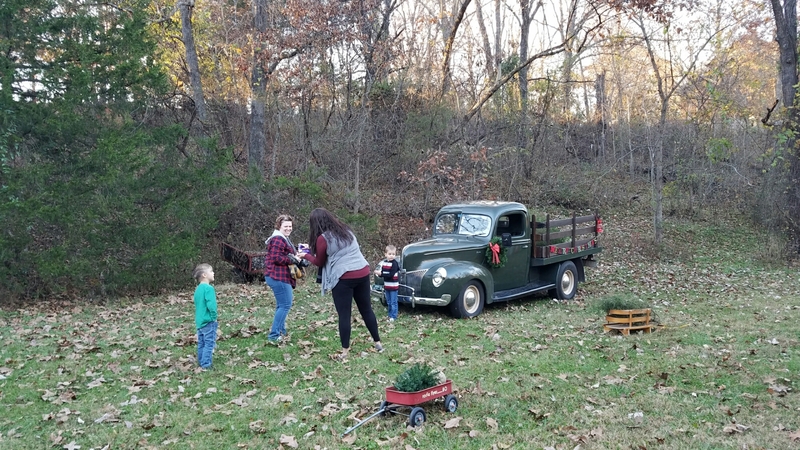 My friend, Julie Austin scheduled the truck for two photo session dates for family Christmas photos. That was a lot of fun, too! In the meantime, I finished up the 3 speed swap in the coupe, and have been driving it as much as possible. During the photo shoot with the pastor of James River Church and his family. Goofing around when out running around in the coupe. 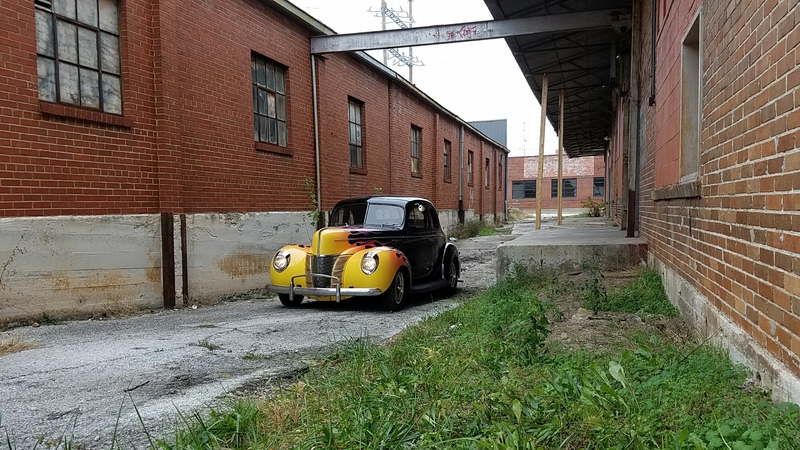 I had run out to Jackie Rinker’s house, to pick up a radiator for Doug’s ’40 pickup project, and happened to unknowingly stop and take a few photos in front of Jackie’s old machine shop location on the way home. The alley behind Jackie’s old shop. Out running around trying to find some additional packages of Christmas lights for the house. Spent some time down at Doug’s shop helping him set in the engine and transmission into his ’40 pickup chassis. 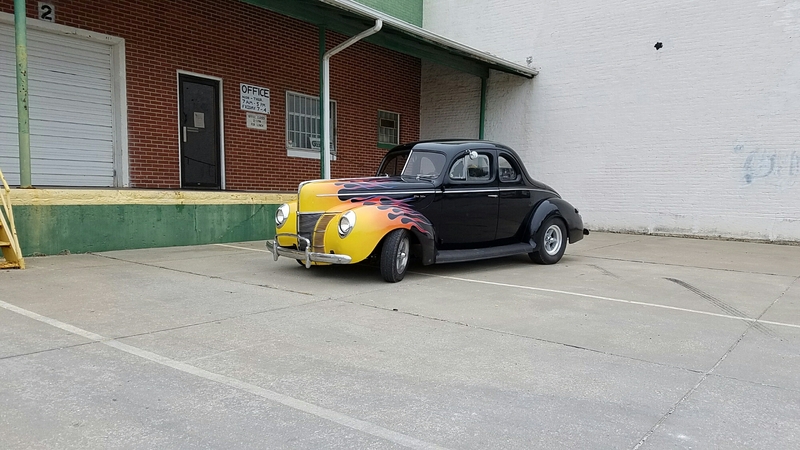 The ’34 coupe is one that his shop is setting a body for one of Pete & Jakes customers, and the ’32 3 window is one that they are setting a body for a customer in Branson. 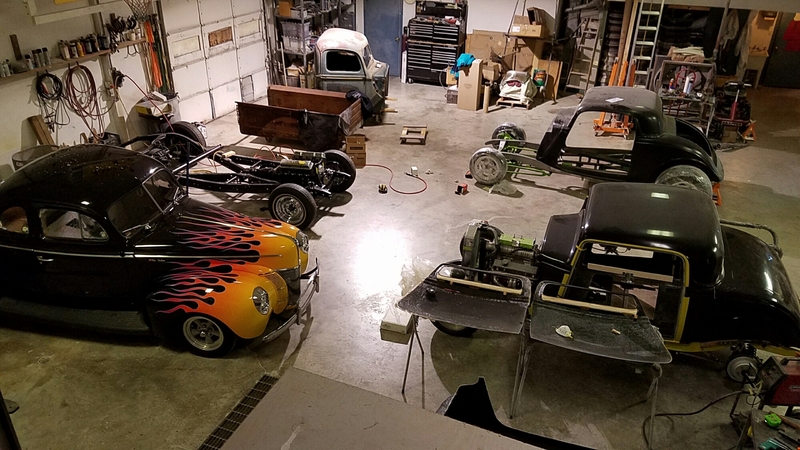 I’ve got a few small projects planned for the winter. 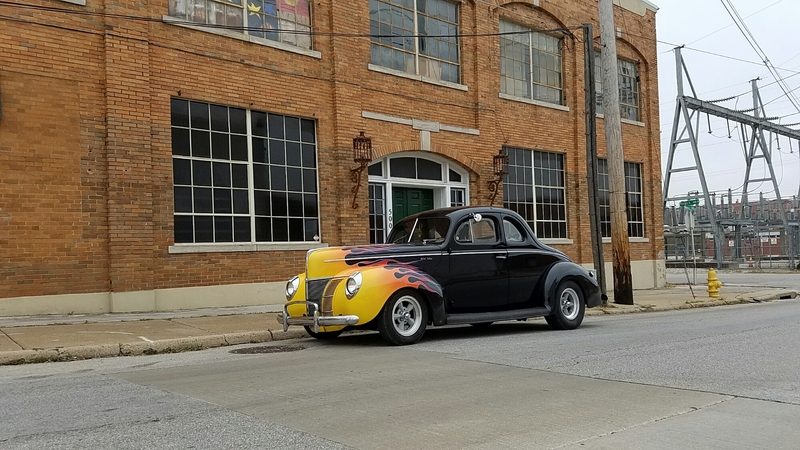 I’m working on a vintage heater to put into the coupe, but that won’t keep me from driving it quite a bit even though it’s cold outside. Merry Christmas and God’s blessings on you all!